View of kitchen with oval bench top. Design classics, by their very nature, are created and proven over time. They endure precisely because they are classics that are not influenced by passing fads. A prime example is the Canali control knob on Smeg Classic appliances. Hailed as an exemplar of modern design, the knob was designed by Guido Canali, one of the most significant Italian architects of recent times. Canali, who has received numerous awards for his work, including the Compasso d'Oro (2004) of Milan, was the first architect to collaborate with Smeg. His involvement extends beyond product design, however. Canali also designed the Smeg headquarters in Emilia Romagna. View of a kitchen which features an oval-shaped island with stainless steel benchtop and Smeg appliances. The architect's work is often described as a synthesis between past and present contemporary spaces are influenced by historical architecture and art. Not surprisingly, Canali has worked on the restoration of many notable historical structures, including the Duomo in the main square of Milan, the National Gallery in Parma, and Santa Maria della Scala in Siena. 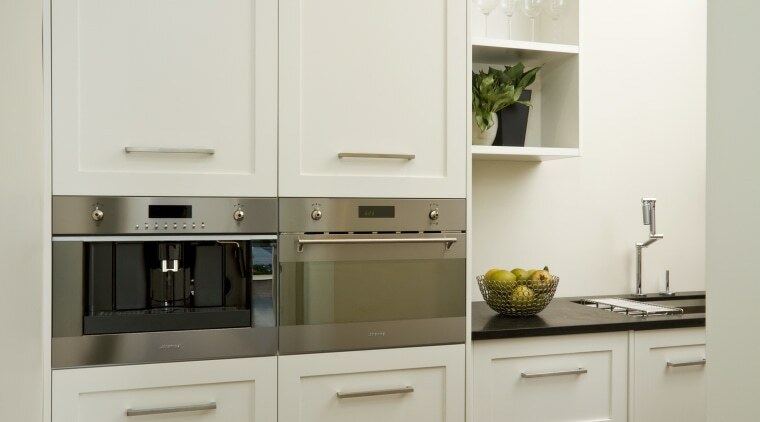 The Classic line of appliances from Smeg embodies the architect's stylistic rigour. Refined, modern shapes combine to create elements of industrial design. 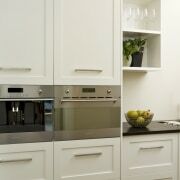 View of kitchen with wooden flooring, dark benchtops and white cupboards. 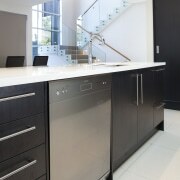 For more information about Smeg, visit the website: www.smeg.co.nz.